Maruti Suzuki and Toyota are going to have a very deep partnership in the coming years, a partnership that sees both brands badge engineering each others’ cars. While Maruti Suzuki will offer the Baleno and Vitara Brezza for Toyota to slap its badges and styling on, Toyota will in turn give Maruti the Corolla Altis premium D-Segment sedan. The next-generation Corolla Altis will be used by Maruti as its flagship car, and is likely to be sold through the NEXA chain of premium dealerships. Maruti will give the Altis a makeover before putting it in its dealerships. 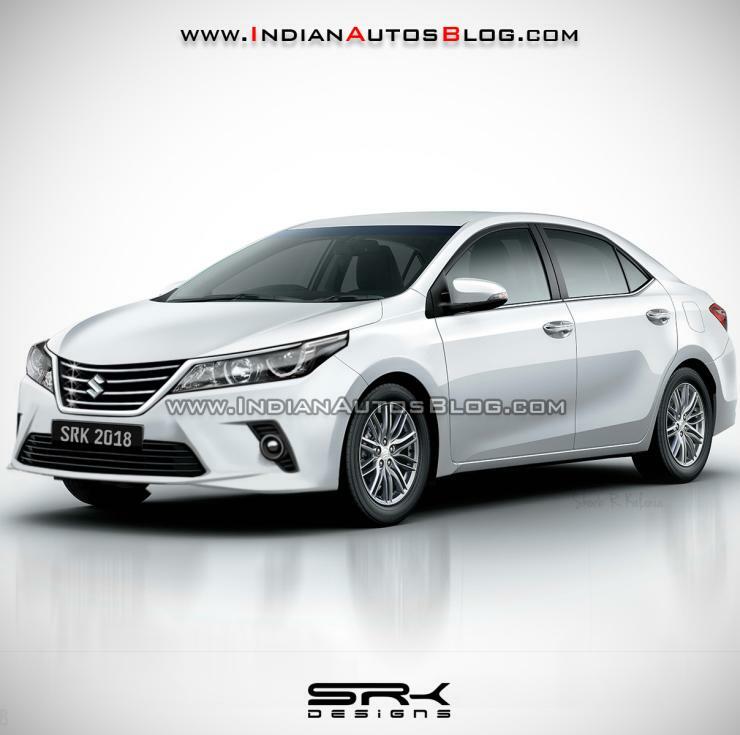 Here’s what a Maruti branded Corolla Altis could look like. Mechanically, we expect the Maruti-branded next-generation Corolla Altis to be unchanged. In styling terms though, the car could wear a chrome heavy grille, the kind of beard that the Ciaz comes with. The Maruti-branded Corolla is also expected to feature revised styling at the rear. Most components including headlamps and tail lamps could be retained though as the present generation of headlamps now are LED units that have a lot of engineering behind them. The next-generation Corolla Altis will not have a diesel engine. So, the one sold by Maruti will use petrol and petrol hybrid powertrains, in the same configurations that Toyota will use. The Maruti Corolla Altis is expected to be launched in 2020. Maruti has an ambition of selling around 10,000 units of the car. It remains unknown if Maruti plans to sell all 10,000 cars in the first year of operations or whether it is the total number of Corolla Altis’ it’ll buy from Toyota. While more clarity is awaited on that front, the premium sedan will be a big leap for Maruti considering the fact that the last 10 lakh+ sedan that the brand sold in India was the Kizashi. While the Kizashi was a spectacular flop thanks to its pricing, we’ll have to wait and watch as to what happens with the Maruti Corolla.